Jared Kushner is an American businessman, investor, and senior advisor to his father-in-law, President Donald Trump. He is the principal owner of Kushner Companies and, publisher of the weekly New York Observer. Kushner Companies, made the single building property purchase in US history, acquiring 666 Fifth Avenue in 2007. He managed Trump's digital media strategy, making him President Trump's most trusted advisor, showing "unwavering loyalty" to his father-in-law. Jared Corey Kushner was born on January 10, 1981, in New Jersey Kushner into an Orthodox Jewish family. He is the eldest son of Seryl Kushner and real estate developer Charles Kushner. He has one brother, Joshua, also a businessman and two sisters, Nicole and Dara.His paternal grandparents, Rae and Joseph Kushner, were Holocaust survivors from Poland who move to the U.S. in 1949; Joseph went on to become a famous real estate businessman. Kushner's uncle, Murray Kushner is the owner of Kushner Real Estate Group. In 1999, Kushner graduated from the Frisch School, a yeshiva high school in Paramus, New Jersey. During this time, he was an honors student and a member of the debate, hockey, and basketball teams at Frisch. He then went on to pursue further studies and attended the prestigious Harvard University. He graduated with a B.A. degree in sociology in 2003. He earned a J.D. and M.B.A. in 2007 from New York University. Kushner has increased the Kushner Companies presence in the New York City, becoming a real estate investor. Kushner Companies purchased the 666 Fifth Avenue office building in 2007, for $1.8 billion. 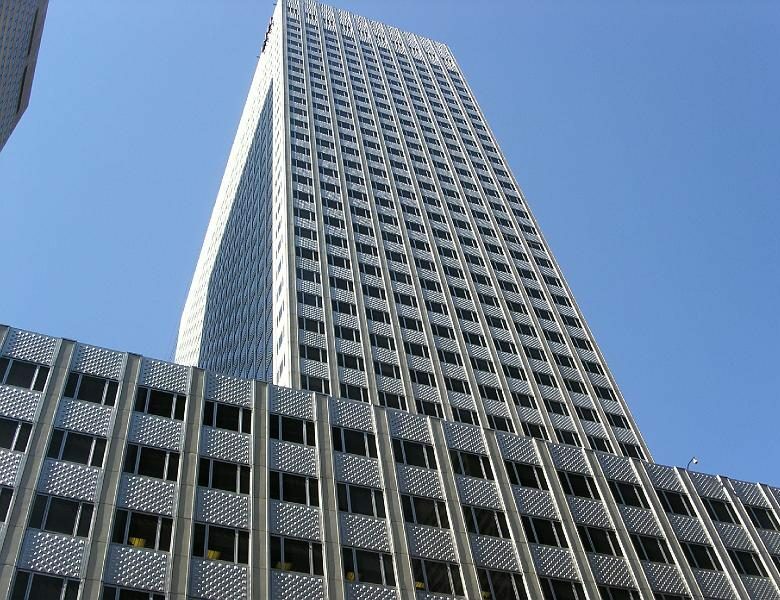 However, following the property crash in 2008, and sold the building to Stanley Chera for more than $1 billion, and bring in Vornado Realty Trust as a 50% equity partner of the building. He becomes the CEO of Kushner Companies in 2008. On August 18, 2014, with Aion Partners, Kushner acquired a three-building apartment portfolio in Middle River, Maryland for $37.9 million. Kushner purchased the New York Observer, for $10 million at age 25, which he have earned during his college years by closing deals on residential buildings. After purchasing Observer, it started publishing in tabloid format and hired Elizabeth Spiers in 2011 for Observer. Later the New York Post reported that the Observer expected to become profitable for the first time. Elizabeth Spiers left the newspaper in 2012. In January 2013, Kushner hired a new editor-in-chief, Ken Kurson. Kushner was the architect of Trump's digital, online and social media campaigns. Kushner has also helped as a speechwriter and plan for Trump's White House transition team, later he widely involved in the campaign, seen as the de facto campaign manager. Corey Lewandowski was fired under the recommendation of Kushner in June 2016. He is coordinating Trump’s visit in late August to Mexico. Jared Kushner at a campaign rally on February 1, 2016 in Waterloo, Iowa. Kushner married Ivanka Trump, daughter of a businessman and U.S. president Donald Trump and his first wife, former model Ivana Trump. 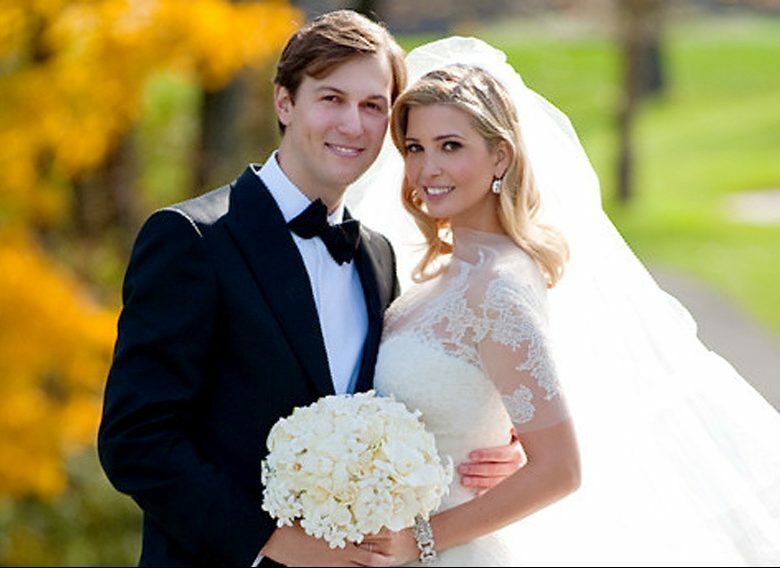 The couple wedded on October 25, 2009, in a Jewish ceremony at the Trump National Golf Club in New Jersey. 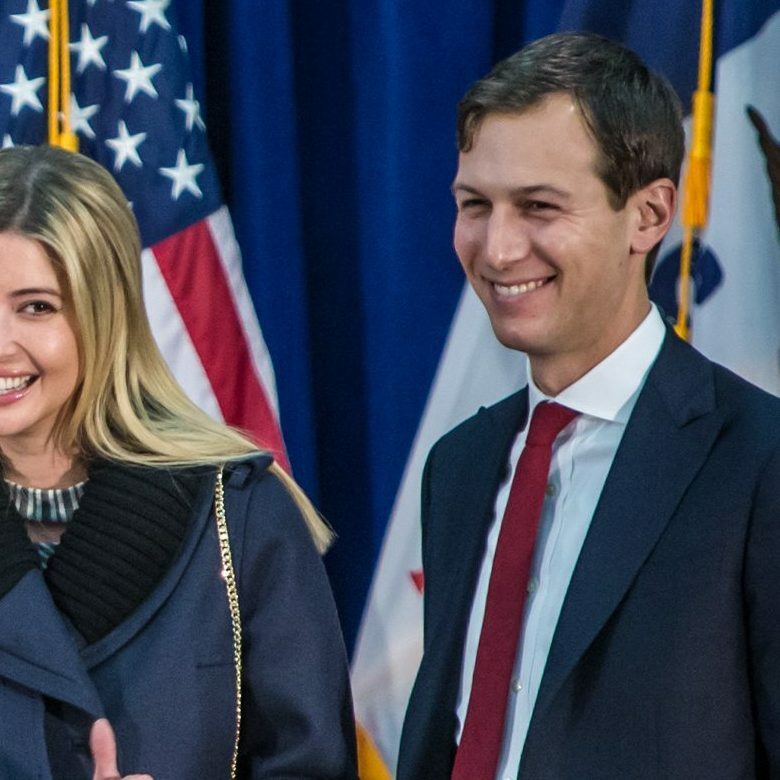 Together they have three children, daughter Arabella Rose Kushner, son Joseph and Theodore. Jared Kushner met Ivanka Trump in 2007 when he was 25 years old. They dated for two years before his wedding. Ivanka converted to Orthodox Judaism before they get married. 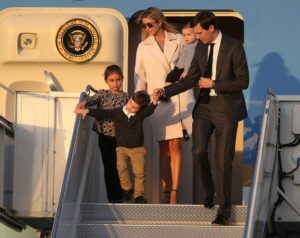 Jared Kushner and Ivanka Trump walk off Air Force One with their children, at Palm Beach International airport in February, 2017. According to FORBES, Jared Kushner, his brother Josh and his parents, Charles and Seryl, have an estimated fortune worth at least $1.8 billion, more than half of which Forbes estimates is held in real estate. Not unlike his father-in-law, Jared's family has prospered largely due to property investments.